Soil problems can actually cause most of the grass problems we discussed from the previous section. The two often go hand in hand. 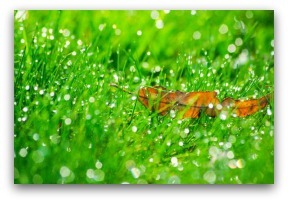 Poor soil leads to poor grass, which is an invitation to most lawn problems. Grass is a plant, and having good soil is the key to a healthy lawn. No two yards are ever the same. Let's start this section out with a quick story of the long term benefits of good lawn soil. We once sodded a yard in a new subdivision with clay subsoil. This was done beside another landscaper also sodding at the house next door on the same day. The lawn we sodded was also watered properly before the fall, and the roots established quickly and deeply into the good soil. This also meant a fast spring recovery for the second season. The lawn next door had a slow spring recovery, and was not doing very well at all. The problems started when the roots had dropped into the clay. The poor clay soil can prevent proper root development, which will make this lawn struggle for years to come. This was all because someone felt they could save a couple of hundred dollars cutting back on the right amount of good soil. Here is another thing we want to point out. The neighbor with the poor lawn, is now going to ask the neighbor with the good lawn for advice. The problem is their soil conditions are different. What may work for one, may not work for the other. Experience has taught us that good soil depth will win in the long run every time. The decisions are always up to you, but we are here to inform you of the possible risks. Now let's take a look at some common soil problems. Soil compaction deprives root systems of vital oxygen and nutrients, needed to sustain growth. Soil compaction - Soil compaction can lead to many other problems if not addressed early enough. Look for signs of thinning grass, bare patches, and poor absorption of water. Water “runoff” is a great early indicator. If you have more water rolling into the street or sidewalk than absorbing into your lawn, you may have a compaction problem. Compaction is common in clay soil, and high traffic areas. 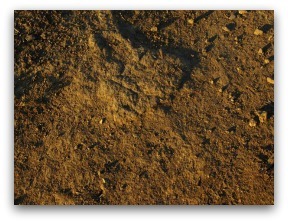 It is often the result of putting an insufficient amount of topsoil or loam over a clay subsoil. Aerating and amending clay soil raises some controversial issues. There are conflicting viewpoints on what amendments to use, so we will talk about the different options in our section on tilling and amending. 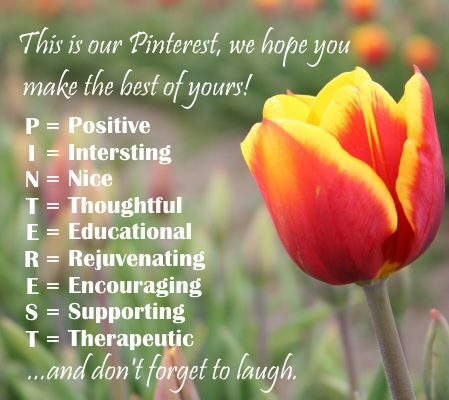 There you will also find a couple of great links. One link will deal with the "sand" VS "other amendments" issue. The other link is very helpful in explaining soil "Structure", and soil "Texture". Poor soil composition - To have a successful lawn for the long term, you need to have a well balanced soil. A nice rich loam is just a healthy mixture of the right ingredients. Organics, sand, clay and other fine sediments are the main ingredients. Good loam has the ability to effectively absorb, and retain just the right amount of moisture deep into the soil. If you have too much clay or sand, you will need to either change or amend it depending on your budget. Remember that clay and sand are both a part of soil, and are not as bad as you think. You just need the right amounts. Take some soil in your hand and squeeze it into a ball. If it won't hold together, it usually has too much sand content. If it holds together tightly and won't break apart, it probably has to much clay content. If it holds together, but breaks apart easily when you roll it around, it may be just right. Improper PH balance - It can be difficult to apply the right fertilizers to your lawn, if you don't know the type of grass you have, or the PH level of your soil. Generally, the east cost of North America has a more acidic soil, and the dry regions of the west tend to have a more alkaline soil. This is widely known, but still a general statement, so soil testing should still be done to confirm this. Here is a great example of a grass problem related to soil PH. Poor lawn under pine trees. Do we really need to test our soil? No, but we often don't do things in life we should, and this is one more of those things. Just like taking vitamins, we know it can help us, but we still don't do it. Let's look at the downside of not testing your soil. You may be throwing the dice adding fertilizer, lime, or other PH changing amendments without this test. Testing and understanding your soil is your choice, but it will save you money, and give you a competitive edge, over your neighbors lawn. You can purchase soil test kits from most garden centers or order online home kits at websites like Solvita. 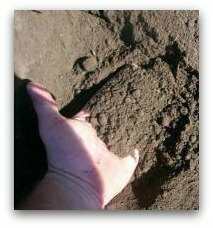 This is a great site if you want to learn more about soil testing and composting. They have great expertise in this field of research, with some wonderful products for do-it-yourselfers. Simply put, PH is a number scale that measures if your soil is acidic (below 7), neutral (7), or alkaline (above 7). Most grasses do well with a pH level of around 6 or 7. It's important to know that the effectiveness of fertilizer is reduced when the PH level is too high or low. Your lawn will not respond as favorably, with growth and color changes. Unfortunately, most people just add more fertilizer, and get the same results. If you have acidic soil, you can raise the pH level by applying lime. This will help neutralize the acidity. If the soil is very alkaline, you may have to use sulfur, or an iron sulfide enriched fertilizer to lower the PH level. Remember when making adjustments to PH levels, radical changes can have negative effects on your lawn. Your lawn will be much happier with gradual adjustments. This is true with many changes to a lawn. That's why we mentioned in the beginning about being patient. Nurturing your lawn over a few seasons will give you more positive results, than shocking it with aggressive, and radical changes. Soil sterility - A nice rich loam also has billions of microscopic organisms called microbes. Microbes turn the building blocks in the soil into soluble foods for the root system. For those of you that practice organic fertilizing, these microbes are vital in breaking down organic fertilizers. Sterile soil is lacking in microbial activity, and is a poor environment for grass growth. When excessive use of certain herbicides, insecticides, and other chemicals are used, microbes can be killed. This can lead to a sterile soil. This is why you should always be careful with the advice you receive from others. Once again, this is not meant to discourage you from using these products. It is only meant to make you aware of what can possibly happen if you are not careful. We also should mention again that pre-emergents applied to prevent weed seeds from germinating, will also prevent grass seed from germinating. Don't use pre-emergents if you plan on doing any seeding to your lawn. Water and the right amount is important. Water retention - Most lawns will require at least 1 inch of water per week, with bluegrass and rye grass it could be up to 2 or 2 ½ in hotter summer months. This will depend on your specific variety of grass. Understanding your soil and how it drains is also important. If you have a heavy clay soil, it will take considerably longer to water to a depth of 6 inches than loam, or sandy soil. We will cover this more in minor repairs. Water retention is a soil problem AND a grass maintenance problem. If you don't water your lawn properly training your roots to grow deep, it won't be as drought tolerant. Now that we have looked at some problems you should know if they require major, or minor repairs. You should also be learning about what is required to grow and maintain a healthy, lush, thick, green lawn. It may not be for everyone, and reducing the size of your lawn to a more manageable size, may be an option for you. If you still haven't recognized what the problem is with your lawn, then I highly recommend that trip to your local extension office for professional help. In the next section we will deal with minor lawn repairs before moving on to major repairs where you are renovating your lawn. All the links for other sections in this module can be found at the bottom of this page.